Sioux City Bishop R. Walker Nickless. New information reveals officials in the Catholic Diocese of Sioux City knew about the alleged sexual abuse of as many as 50 Iowa boys more than 30 years ago by a priest, Reverend Jerry Coyle. 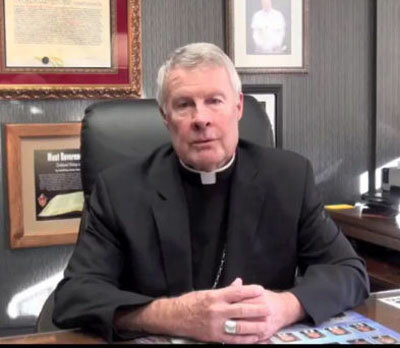 Bishop Nickless says Coyle befriended a couple with children in New Mexico and they asked him to move in with them after he was in a serious car accident. The diocese felt that was a bad idea and attempted to dissuade Coyle and the couple from going forward, disclosing the extent of Coyle’s past. The diocese moved Coyle to Fort Dodge, where Nickless discussed the situation at a public meeting Tuesday night. The diocese is providing independent victims’ care to offer confidential, compassionate assistance to anyone who was a victim of Coyle. Angie Mack, the victim assistance coordinator, may be contacted at 866-435-4397 or 712-279-5610. She is not employed by the diocese and helps both victims who are minors and those who are adults and were victimized in their childhood by a member of the clergy.